"Corlase Electrolysis & Laser has given me a true feeling of comfort and confidence. Not only has Dana made me feel good about my hair removal decisions, the environment in her practice makes my sessions very pleasurable. I am so glad I choose Corlase Electrolysis & Laser for my hair removal and skin treatments." I know now to ask myself... how likely is it that this person is going to burn my skin? How experienced are they? How good is their laser machine? Are they certified? How stringent is his/her certification? and if you are wondering, of course, you can get burned, that's you sign a waiver at any place you go. How expensive is it and will your money spend get results? Getting treatment is rather (understatement) embarrassing...I ask myself, does this person have any clue or compassion for how vulnerable clients are emotionally both by the embarrassment of having the treatments but also by what they've gone through that made them seek laser hair removal in the first place. In other words, does the person understand that a woman in our western society with more hair than eyebrows, eyelashes, and maybe some hair on her head is basically scorned as unfeminine and walks into the office with a lot of baggage? The moment I spoke to Dana on the phone and then in person, I knew she was a true-blue professional. Her machine is excellent and gets amazing results with MUCH less pain than other machines. If you can't decide, I would encourage everyone to take the time and go to at least 3 or 4 different clinics and decide for yourself. If I have done this, I would have saved so much money, time, and pain 9oh, did I mention pain?" Dana has substantial "people" skills. I have seen her converse with her customers in the Ohio area and she has done this with equal ease and charm. I can assure you that there is a core strength in Dan's ability to manage a business and work with the customers. As you may already know, Dana has worked on her profession, one that she admires. She has great enthusiasm, leadership, and dedication that I feel would be an asset to anyone's business. 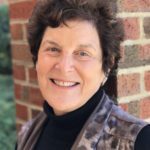 In short, I heartily recommend Dana Begley to you, for her knowledge in hair removal, her ability to deal with people's needs, her business sense and her approach to dealing with life's vagaries. I hope you will allow Ms. Begley an opportunity to demonstrate her qualities. I am sure she will surpass all expectation set for her." "Dana performed the Laser Hair removal on my chin a few years ago, I had such a wonderful luck with the procedure. I am once again in need of hair removal on my chin area and I am now looking for someone in the Springfield/ Dayton/ Columbus Ohio area that uses the same or similar techniques/equipment as her." " I have felt so comfortable coming to Dana for my hair removal treatments. I really appreciate her professionalism and her great personality. I felt that I get my money 's worth now." 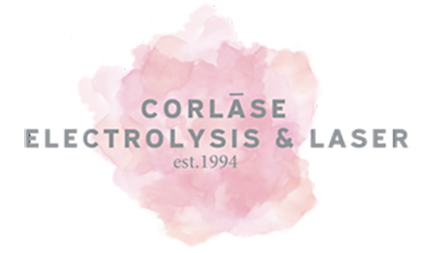 My experience with electrolysis at Corlase Electrolysis & Laser has been unparalleled. Dana is highly skilled, caring, and honest - I trust her assessment of my skin and know she my best interests, not my wallet, in mind. I walk out with minimal skin irritation (if any) and NO scars, pits, etc. I highly recommend Corlase Electrolysis & Laser for permanent hair removal. We love hearing what our clients have to say! Use the form below to let us know how your experience was!